On November 25th, 2015, Solidarity Halifax hosted a public event examining the politics of childcare with guest speakers Tammy Findlay, Candida Hadley and Taylor Hansen. Find guest speaker bios below. Care work is an important and often overlooked political issue. Our panel presents a critical analysis of current provincial policy, and develops ideas about what a truly just, liberating system of child care might look like. How well is Nova Scotia’s current system meeting our needs? What role does care work serve in a capitalist society? Who performs most child care work and what are working conditions like? What do policy alternatives based on feminist or socialist ideals look like? What policies could better serve the needs of marginalized or racialized community members? What work is unpaid and why? Tammy Findlay [4:45] is an Associate Professor in the Department of Political and Canadian Studies at Mount Saint Vincent University. Her research is in the areas of gender and social policy, child care policy, feminist political economy, federalism, women’s representation, and democratic governance. Taylor Hansen [25:00] is a full-time Early Childhood Educator or Child Care Worker (depending on who you ask) in Halifax. She is currently pursuing her Master’s Degree in Child &Youth Studies and holds an Honours Bachelor of Social Science Degree. 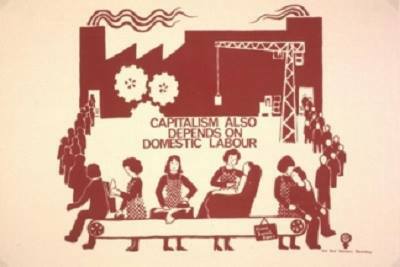 She is passionate about challenging perceptions of care work and domestic labour rooted in Capitalist Patriarchy. She will speak to her experiences in the field and share her observations on how the current system is affecting practitioners and their families. Candida Hadley [38:15] is one of the founding members of the Halifax Motherhood Collective. She is a mother of two, a Managing Editor with Fernwood Publishing, and a feminist. The Halifax Motherhood Collective is a group of mothers and allies who want to bring people together for discussions about patriarchy and about caring and reproductive labour, and to create change for mothers and children in our society.